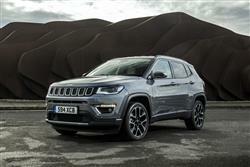 In this rejuvenated Compass model, Jeep has at last brought us a credible class-competitive mid-sized SUV. It's not quite as car-like as some of its rivals, but if you want to be ready for snow as well as sun and for forest tracks as well as tarmac, you might feel this contender to be a better bet. Here, we test it in desirable 2.0-litre Multijet diesel 4x4 form. We all know what a real Jeep looks like - rough, tough and wilderness-ready. You might though, be less acquainted with the models this growing brand wants to sell to ordinary, family SUV buyers. 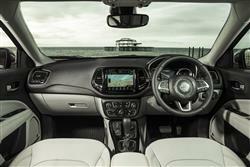 Cars like this one, the Compass, aimed directly at the buoyant mid-sized Qashqai segment. This model, we're told, isn't just for the school run set. Yes, it's able to deliver the family hatchback-style ease of use you'll want, but here that's apparently been combined with a bit more SUV capability - the kind of thing beyond most rivals. It's not a Jeep for the Serengeti but, thanks to a tough 'Chapman strut' rear suspension system, an 'Active Drive' 4WD set-up and a 'Selec-Terrain' drive control package, 4x4 variants certainly promise enough off road ability to justify this model's brand badging. But then we've heard all this kind of thing before from Jeep. Will the end result be different this time? We tried a 2.0-litre Multijet diesel 4x4 variant in plush 'Limited' trim to find out. The clunky, utilitarian feel of the previous generation Compass is in this case replaced by something much less crude, but if your benchmark in this segment is something like a Qashqai or an Ateca, then you'll notice quite a few differences here. The long-throw gear change is more ponderous, the engines on offer lack a little in terms of ultimate refinement and you're obviously not going to get the cornering agility that a mere hatchback-derived crossover is going to give you. As for the mechanicals, well essentially, there are three levels of Compass ownership. At the bottom end of the scale, there are the entry-level variants, which use either a 140hp 1.4-litre MultiAir petrol engine or a 120hp 1.6-litre MultiJet diesel and which come only with front wheel drive and manual transmission. At the opposite end of the line-up lie the pricey 170hp variants - a tuned-up version of that 1.4-litre MultiAir petrol engine or a 2.0-litre MultiJet diesel, derivatives offered only with 4WD and the brand's rather slow-shifting 9-speed auto gearbox. It's the models in between these two extremes though, that will interest a significant proportion of potential Compass customers, the ones fitted with the engine, drivetrain and transmission combination we tried - a 140hp 2.0-litre MultiJet diesel paired with a manual gearbox and the 'Jeep Active Drive' 4WD system. This comes paired to the brand's excellent 'Selec-Terrain' system which allows you to choose between a series of customised drive settings to suit the ground you're travelling over. The 2.0 MultiJet 140hp 4x4 variant can tow up to 1.9-tonnes. This Jeep does in every sense look like a proper, modern compact SUV, rather than the kind of hatchback on steroids that most of the magazine experts will tell you to buy in this segment. 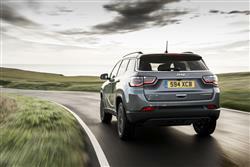 Inside, the aggressively stylised touches of the Renegade are missing, the cabin instead favouring a more mature downscaled Grand Cherokee demeanour that Jeep thinks is more appropriate to the segment. The chunky three-spoke wheel feels great to hold, the driving position's properly commanding and the rubber floor mats and the chunky design of the various controls remind you that you're in a car from a brand that only makes SUVs. Even the fascia's dominant feature, this Uconnect touchscreen, has been developed with a nod to SUV motoring. Get yourself a model where the base 5.0-inch monitor has been upgraded to a 8.4-inch display and, once you've downloaded an appropriate app, you'll be able to use a 'Jeep Skills' feature that measures drive, pitch, roll, pressure and altitude to give you real-time feedback on your off road driving abilities. In the rear, it's significantly more spacious for passengers than the smaller Renegade model thanks to an extra 7cms between the front and rear wheels. Out back, there's a decently sized 438-litre boot. 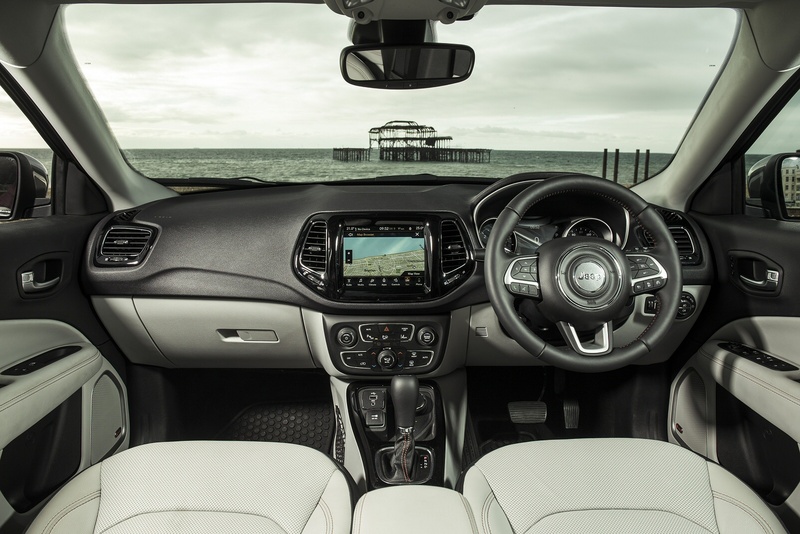 Compass pricing starts at around £23,000, but that only gets you an entry-level base-spec diesel front-driven 'Sport' variant that few will want. It's more realistic to think in terms of a £25,000 to £30,000 budget assigned to one of the mid-range 'Longditude' or 'Limited' models. In fact, the 2.0 Multijet diesel 140hp 4x4 Limited manual variant we tried cost over £32,000. A range of little exterior details set the 'Limited' trim level apart - things like LED signature lighting around the halogen projector headlamps, deeply tinted sunscreen glass, roof rails with a chrome insert and a chrome-tipped exhaust. You also get rain-sensitive wipers, all-round parking sensors, exterior mirror courtesy lamps and windscreen wiper de-icers. And inside? 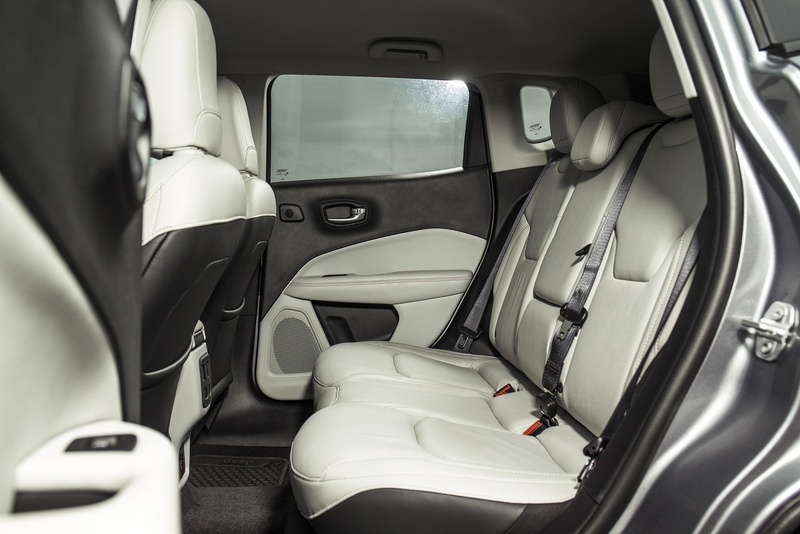 Well in the Jeep range, 'Limited'-spec has always guaranteed full-leather upholstery and so it is here, the front seats being also heated and 8-way power-adjustable. The instrument binnacle gets a larger 7-inch customisable TFT screen, there's an upgraded 'Beats' audio system, plus 'Limited' spec gives you a heated steering wheel, all-weather floor mats, a centre-split section for the rear bench. Safety-wise, autonomous braking is standard - Jeep calls its system 'Forward collision warning plus'. As usual with these kinds of set-ups, this one scans the road ahead as you drive for potential accident hazards. 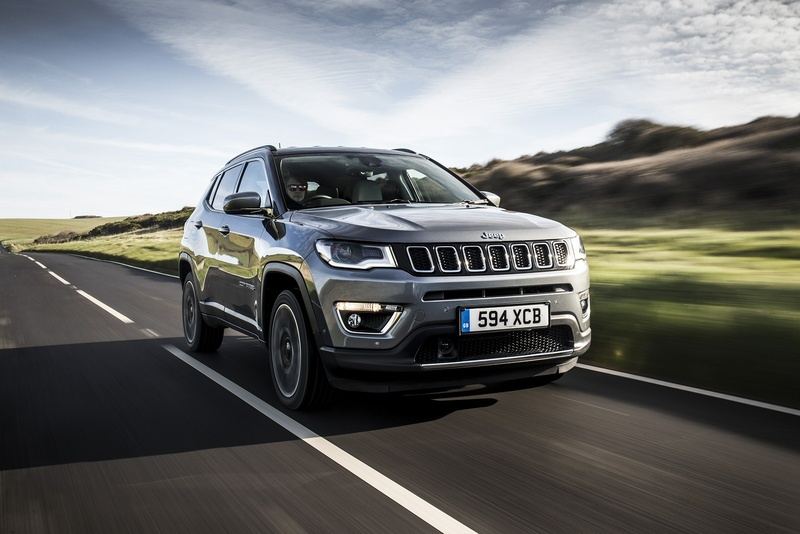 Jeep's put a great deal of development into this generation Compass model, but one of the things the brand hasn't been able to optimise to any great extent is the engineware that sits beneath the bonnet. This car was launched with pretty much the same MultiAir petrol and MultiJet diesel powerplants that the Fiat Chrysler conglomerate has been fitting to various models since back in 2009. And of course, engine technology has moved on considerably since then. Given that and Jeep's traditional emphasis on solid build and heavy 4WD systems, we weren't expecting a top-class showing from this car in terms of overall running cost efficiency. Actually though, it doesn't do too badly, returning a set of running cost returns that should reassure buyers new to the brand. This 4WD 2.0-litre MultiJet diesel model manages 54.3mpg and 138g/km. That's only a few percentage points away from what you'd get in a comparable SEAT Ateca 2.0 TDI 4x4 or a Nissan Qashqai 1.6-litre dCi 130hp 4x4. Which, given this Jeep's extra capability isn't a bad showing at all. Of course, the ultimate figures you achieve will depend very much on how you drive, something you can monitor and improve if you've downloaded the infotainment system's 'Uconnect LIVE' app onto your smartphone. This gives you an 'eco:Drive' section that enables you to develop your driving style, save fuel and check your car's CO2 emissions in real time. If you�re looking for a new Jeep Compass 2.0 Multijet 140 Longitude 5dr Diesel Station Wagon for sale, you�ve come to the right place. 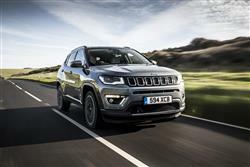 At Bristol Street Motors we don�t just have the best Jeep Compass 2.0 Multijet 140 Longitude 5dr Diesel Station Wagon deals, we also offer friendly advice and help with all your enquiries to ensure your buying experience is a happy experience.